Ready for a real-life Jungle Book experience? We've got just the thing for you. 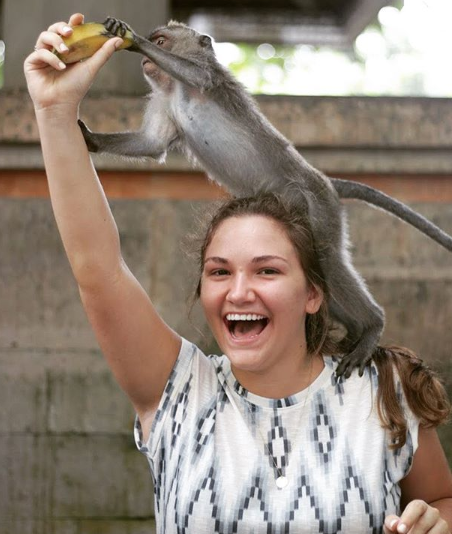 Head to Lopburi, Thailand's monkey kingdom for a day you'll never forget! 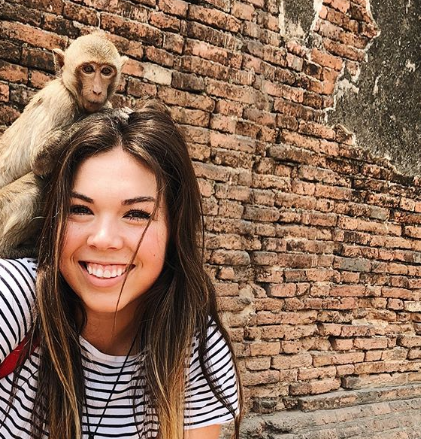 There are a lot of places in the world that you can go to see monkeys and a lot more places you can go to see ruins. 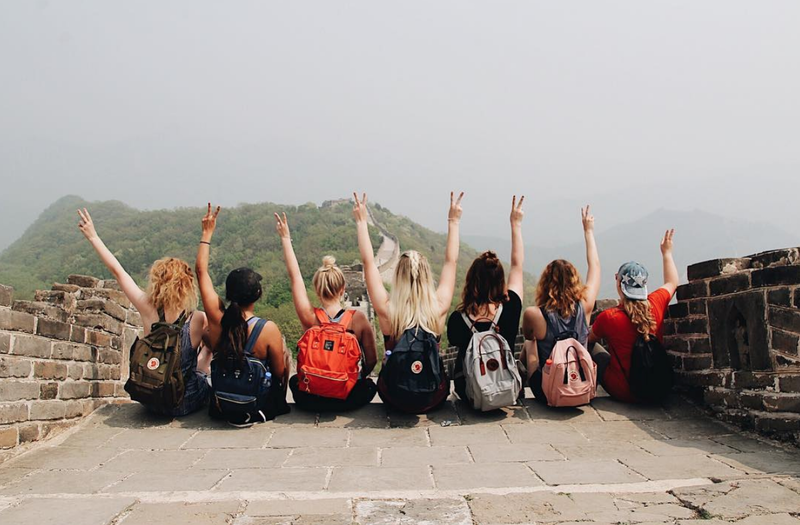 As a volunteer in Thailand with International Language Programs, you'll have plenty of weekends and vacation days to see places like Ayutthaya! But a monkey kingdom in ruins? Bet you thought that was only in the Jungle Book. If you're like us, you'll probably be singing "Oobee do, I wanna be like you" the whole time you're there. Planning vacations, even just weekend trips can be kind of tricky sometimes, especially if you're new to the country. 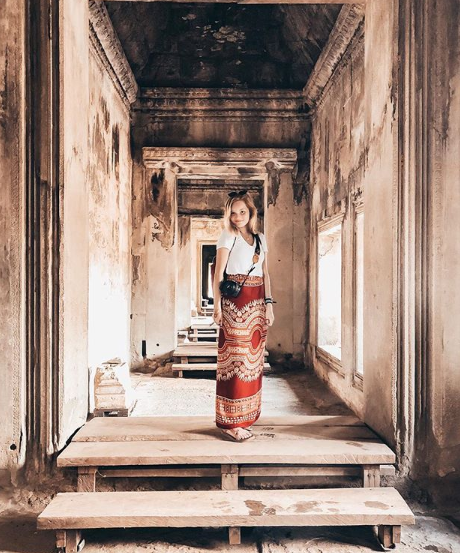 Lopburi is becoming a popular destination for tourists, so here is a list of our tips for visiting this place you'll never forget! Lopburi is about a 2 1/2 hour drive north of Bangkok. 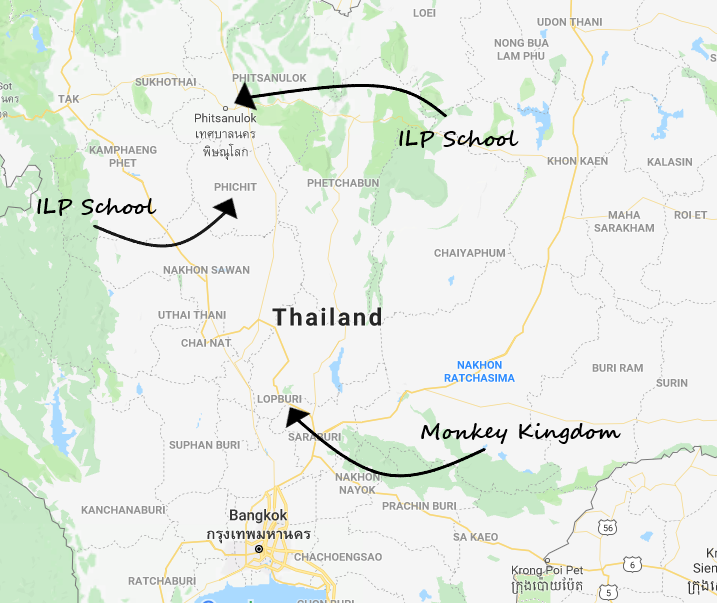 Lucky for you, it's right on the way if you're driving to or from Bangkok from either of our schools where ILP volunteers live during their semester abroad in Thailand! It's a perfect day trip if you're okay leaving early, getting home late, and spending about eight total hours traveling. But it can also just be a stop on your way to the airport to another vacation destination! Since the 6th century, this place has been the home of many kings and princes (remember how the US didn't even become its own country until about 250 years ago?). Hence, the incredible ruins! Marco Polo, the famous explorer who went to China, even wrote about this city! The long-tailed macaques are a huge part of the culture in Lopburi. In fact, a monkey festival is held every year in November (usually the last Sunday)! There is live music, dancing, and even a big feast, all for the monkeys! It's said the monkeys bring luck to the city, which is why they're treated with so much respect. But, this festival is not for the weak of heart. Monkeys may look cute, but they are wild animals and can be a bit aggressive! They fight a lot with each other, and won't hesitate to steal your stuff or attack anyone who gets in their way. If you have food in your bag and leave it unattended, they will definitely go for it! Don't wear earrings, hold onto your sunglasses, and make sure all of your bags are zipped shut. Oh, and they pull hair. Get tons of pictures (duh) but keep a tight hold on your phone! You'll even see signs in the city that say: To prevent monkeys attacking people, the officer will feed monkeys in 3 designated areas outside San Phrakan twice a day, at 10am and 4pm. Those who want to feed monkeys other than these times, please contact the officer or caretaker. Have we talked enough about the monkey thieves? Just make sure you watch your stuff closely since there are some things we do recommend bringing. That Thai sun. But it could be rainy depending on the time of year, so check the weather. A full, cold water bottle since you'll be doing a ton of walking. You can ALWAYS find a 7-Eleven to stock up on your favorite treats! Have you tried the grilled cheese sandwiches from the refrigerated section yet? Or the Top Ten ice cream pops? So good. Just don't let those monkeys see you eating and don't leave your bag sitting around. 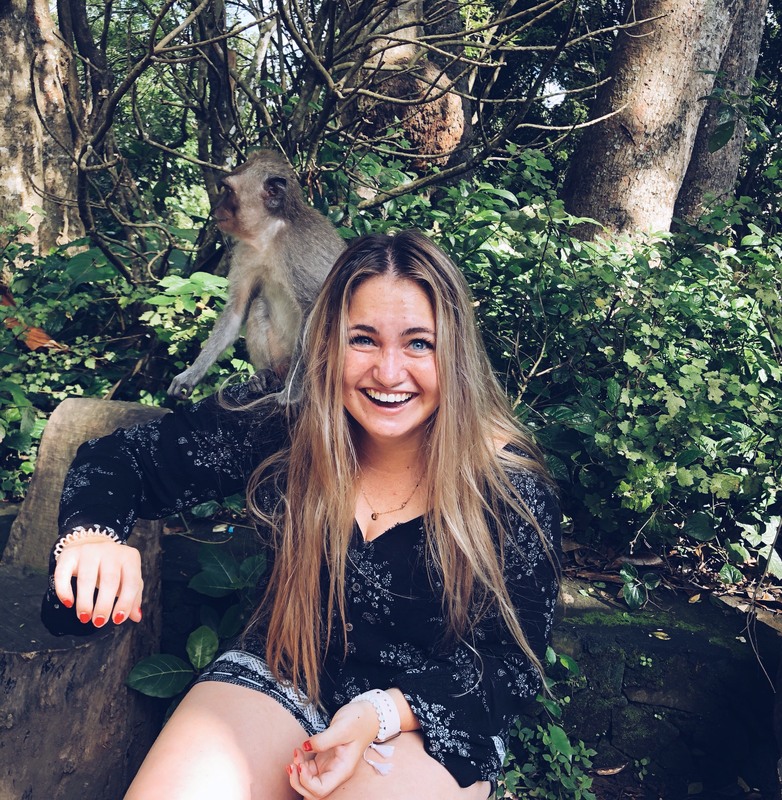 You will want a picture of that monkey jumping on your head! So be ready to help each other out since it's hard to take your own picture of a monkey in your hair! Not a lot. About 100 for around Lopburi, and then whatever your returning train ticket will cost you (shouldn't be any more than 300). For ILP volunteers, since one of the easiest ways to get to and from the airport is to talk to your local coordinator and hire a van driver (the more volunteers go, the cheaper it is per person), we recommend stopping here on one of your trips to or from Bangkok. The driver will probably only charge you a couple of hundred more baht total, so totally worth it! But just in case that doesn't work out, another easy way to get here is by train. This is such a cheap option, with a range of what you want to pay for (comfy seats? air conditioning? a bed?)! The trains leave frequently, and take different amounts of time to get there depending on how many stops they have. Here is where to find info about ticketing. You may still need to get help from the local coordinator, because even translated, the website is mostly in Thai. Once you get to Lopburi, it's so small that you can actually just see everything on foot! The main hangout spot for monkeys is Phra Prang Sam Yod which costs about 50 baht (less than $2) to enter. If you're dying to feed the monkeys (good luck!) you should be able to find vendors here who will sell you food for the monkeys. Other places you can't miss are Wat Sao Thong Thong (used to be a catholic church, but was changed to a Buddhist temple), Wat Phra Sri Rattana Mahathat (it has a cool central tower), King Narai's Lopburi Palace, and Phra Khan Shine (an old Buddhist chapel). This website even has a recommended walking route that won't take you longer than a few hours. Chances are you'll see monkeys all around the city, because they basically run it. Want to talk to someone who's been?